Our company deals with everything you need for boating. We specialize in all kinds of walking surfaces from natural or synthetic materials, including marine carpets. We also manufacture walking surfaces for terraces and swimming pools and are happy to provide custom orders. Everything for boating in one place. 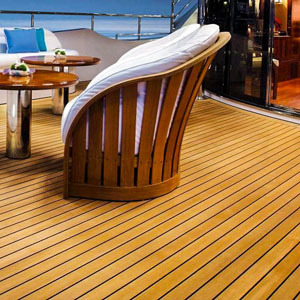 Walking surfaces, carpets, swimming platforms … All you need for your boat. We make different accessories from teak, such as cabin kitchens, grates for docking bridges etc., we restore and change grouting on teak decks. We also make teak walking surfaces.